The luxury developer that brought “starchitect” Zaha Hadid to Dubai and is currently selling a Dh180m apartment on Palm Jumeirah is to move into affordable property. 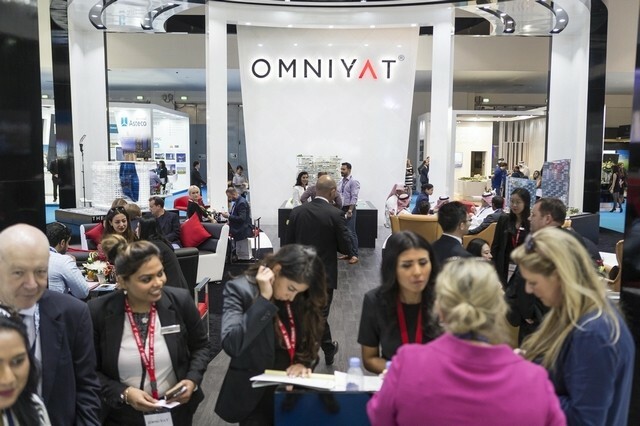 Omniyat, which had set itself the goal of “creating distinct liveable art in Dubai” by working with major international architects and designers, said that it is “looking at an affordable housing option, but do it in an Omniyat way”, according to the company’s managing director, Mark Phoenix. Omniyat was launched in 2005 and has completed a number of projects in Business Bay, such as the One by Omniyat and Bayswater commercial towers. Other projects have proved to be trickier. The Opus, a Dh2.5bn building designed by the late Hadid, was scheduled for completion by the end of 2009 but a combination of a slower market and a complex design – a “void” section in the middle of the building has been created via the use of 4,300 individually shaped glass panels – slowed things down somewhat. Mr Phoenix said main contractor Brookfield Multiplex will complete the structure of the mixed-use building later this year, before a 12-month fit-out of the hotel and serviced apartments elements by Spanish operator Melia. About half of the building’s 90 serviced apartments remain unsold, but Mr Phoenix said that many are being retained by Omniyat and will be operated by ME Hotels as suites for guests. He said that just over one third of the 30 apartments at the Dh2bn “super luxury” One at Palm Jumeirah joint venture with Drake & Scull have been sold but it has yet to find a buyer for the property’s Dh181m, 40,000 sq ft penthouse. “The project is going very well,” he said, adding that it is on track to complete in the first quarter of 2018. He also said that the company is now on site at the new Langham Place hotel and serviced apartments buildings in Business Bay, which was announced last year. “The excavation is complete, piling is awarded and we hope to award a main contract by the end of the year,” said Mr Phoenix. At launch, the company considered an opening date of 2018, however, Mr Phoenix said the opening would probably take place in 2020 or 2021. Omniyat’s plan to develop affordable properties follows a number of other former luxury specialists who have begun selling in the affordable sector. Emaar Properties began selling the cheapest two-bedroom town house units at its proposed Emaar South development from under Dh700,000 this week, and Damac’s managing director, Ziad El Chaar, said that it now has flats on the market from Dh450,000. It also launched villas for under Dh1m at its Akoya Oxygen scheme last week. He argued said that the villas had been made cheaper by reducing their size from about 2,500 to 2,700 sq ft down to 1,600 sq ft, adding that 60 to 70 per cent of its buyers are currently from overseas markets. Another target market for smaller villas is millennials (a group classed as being aged between 25 and 39). Research from Dubizzle this week estimated that there were about 1.2 million millennials in Dubai, or 48 per cent of its total population. It said that for those earning more than Dh20,000 per month, 59 per cent planned to buy a property within the next three years and that 44 per cent expected to buy in the UAE.